Overall Easter weekend was on the quieter side of things in the world of Magic. There was a team limited grand prix overseas, which was fun for the people over there I’m sure, but as far as we’re concerned, it would have been more relevant to watch a stream of kitchen table Magic. There was a Modern MOCS yesterday too, which had some less-than-predictable results. Hollow One and Humans were the decks to beat, with the best performances by a sizeable margin. Storm and Jund face planted. Ironworks…showed up? And Tron probably upset some people. Tom Ross wrote an article on Friday about some cool Modern decks, and it’s worth knowing he wrote that. That ran on DailyMTG, which is a lot of eyeballs. Supply is decently high right now, but that’s in part due to Retract having had the briefest of moments in the sun a year ago. That jump brought the card up from $2 into the $10+ range, which dredged every spare copy in existence up. That supply is now sitting around in the hands of some vendors and various market operators, and much of that is available online right now. In other words, there’s not really any supply beyond what’s visible in the market. If you poke around over at EDHREC, you’ll see that Zur the Enchanter has been popular the last few months. He’s an odd commander that pushes players into notable card choices. One of them that jumped out at me is Diplomatic Immunity. Immunity is from a different time period in Magic’s design history. It gives itself and the creature it enchants shroud. That’s it. An annoying enchantment. Truly, Magic is the greatest game. Diplomatic Immunity is a gold standard in Zur, since it helps ensure he hangs around for more shenanigans on follow up turns. Not only can Zur fetch it, but there’s a whole enchantment subtheme with the deck, so it fits in well. 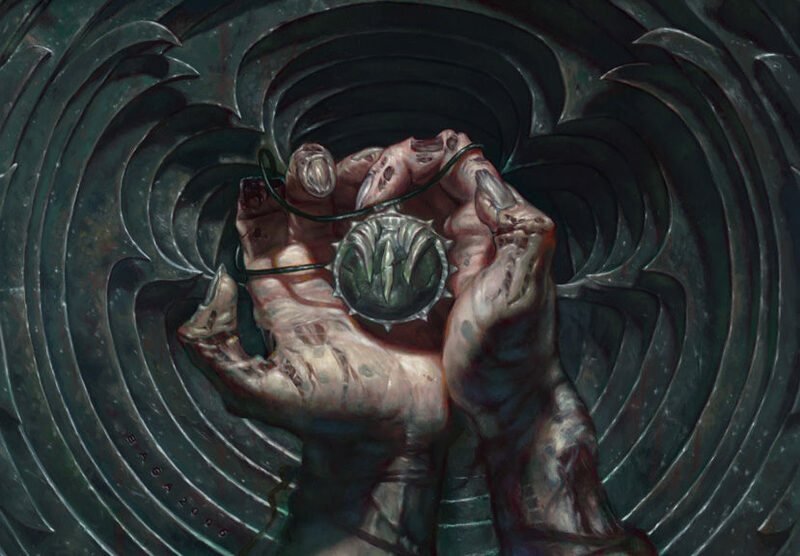 Overall you’ll find Immunity in about 2,000 EDH decks, which isn’t a remarkably deep pool, but it’s not insignificant. What catches my eye here is that like Retract, it’s a single printed card. It’s a common from Mercadian Masques with no second printing. If Zur continues to see new decks being built, supply is going to drain on Immunity. We’re not going to see a $20 card here, but a jump from pocket change to several dollars is possible. Selling these one at a time on TCGPlayer or eBay would be annoying, but buying in at $.45 and then dumping a stack to a buylist for $1.50 a few months later would be awfully sweet. Given how quickly these move, as 1-ofs, there’s no doubt that EDH players are vacuuming them up at an alarming rate. So far there’s been enough churn to keep the market liquid, but I wonder if we’re approaching a turning point on that. Players have to be getting rid of these pretty fast to keep up with the demand in the market right now. EDH players often like to stash their cards, not sell them, so I’d expect a healthy attrition on a staple like this. A constant upwards price movement for years supports my suspicions. $10 for a common may seem crazy, but this has moved far beyond its printed rarity. There’s not a lot left out there at this price, or less than $20 in general. If this trend continues, this will be a blue EDH staple that’s at least a Jackson before too long. Man, I can’t believe how far down Retract came. That’s crazy, and an easy buy-in at $3. What do you think of Panharmonicon foils at 8? Love it. There’s only 40 on TCG right now, and that demand is impressive. 12,608 decks on EDHREC. At the least, buy the one or two your decks will use, and I’d advocate grabbing a few spare foils. Won’t take much to pop this to $20 or more.